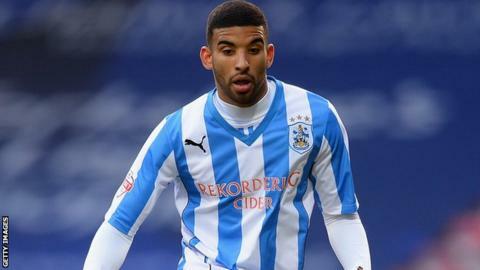 Former Huddersfield midfielder Oscar Gobern has joined Championship side QPR on a one-year deal. The 24-year-old, who was released by the Terriers in June, has been training with QPR during pre-season. "Oscar came in at the start of pre-season, got his head down, worked hard and he's really impressed," QPR boss Chris Ramsey told the club website. "He's a good player with a lot of potential. We feel with the right attitude and guidance, he can kick on." Gobern made 12 appearances in the Championship last season, following a short spell on loan with Chesterfield in League One. "Chris has made it known he wants a mixture of youth and experience in the squad and I'm probably a blend of the two," said Gobern, who started his career at Southampton. "My first goal is to play my way into the squad, get some minutes and see where it takes me. I can't wait to pull on the shirt and play."